With decades of experience working in the field of performance and opera, McOpera Education and Outreach offers a wide selection of packages and projects, devised and delivered by our full range of professional orchestral musicians and singers. From nursery through to Advanced Higher, from youth groups to corporate clients, McOpera’s Education and Outreach programmes offer exciting, innovative and inspiring opportunities to create and explore music and performance. 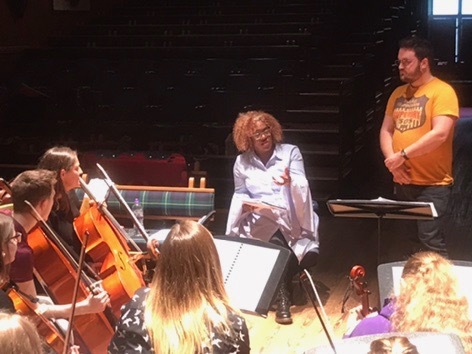 All our McOpera musicians are committed to reaching out musically to our community- this is a key aim of our co-operative approach to artistic life in Scotland. The McOpera musicians also have close working relationships with Enterprise Music Scotland, Scottish Opera Education Department, Artlink, Musical Minds, Children’s Classic Concerts and Glasgow Life. Scroll down the page for more on our projects, past and present! 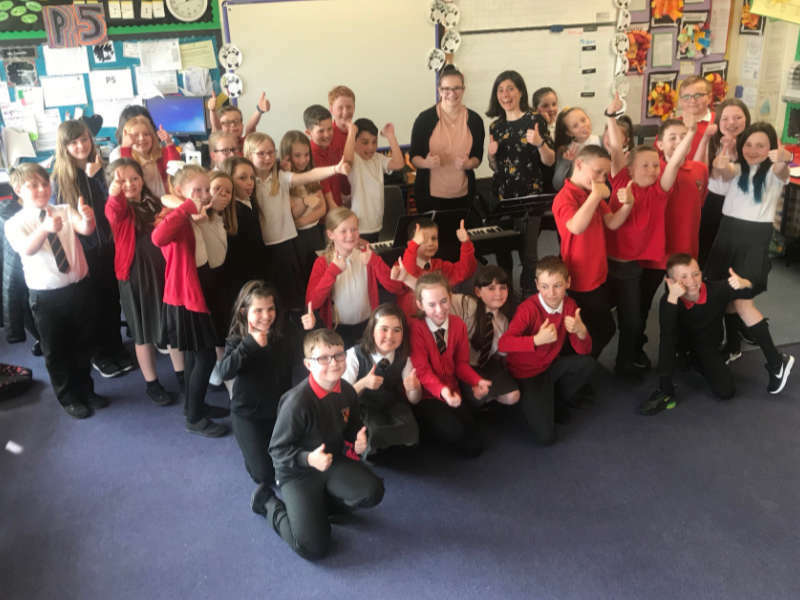 Friday Afternoons – A Song for Flight marks the culmination of a wide ranging inter-generational project for over 120 primary school children and high school instrumentalists, and is the third in a series of outreach projects for Milngavie Music Club. 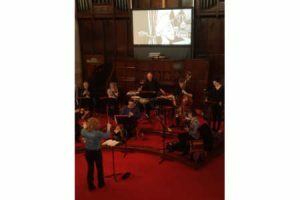 Focusing on the music of Benjamin Britten and his contemporaries, the project began earlier this year with a concert at St Cyprian’s Church in Lenzie. This included a series of workshops and mentored rehearsals during which McOpera’s professional quintet of string players led by Katie Hull worked side-by-side with 19 talented high school musicians from the East Dunbartonshire Instrumental Music Service and the Music School of Douglas Academy to develop ensemble techniques, listening and communication skills, team building and musicianship. 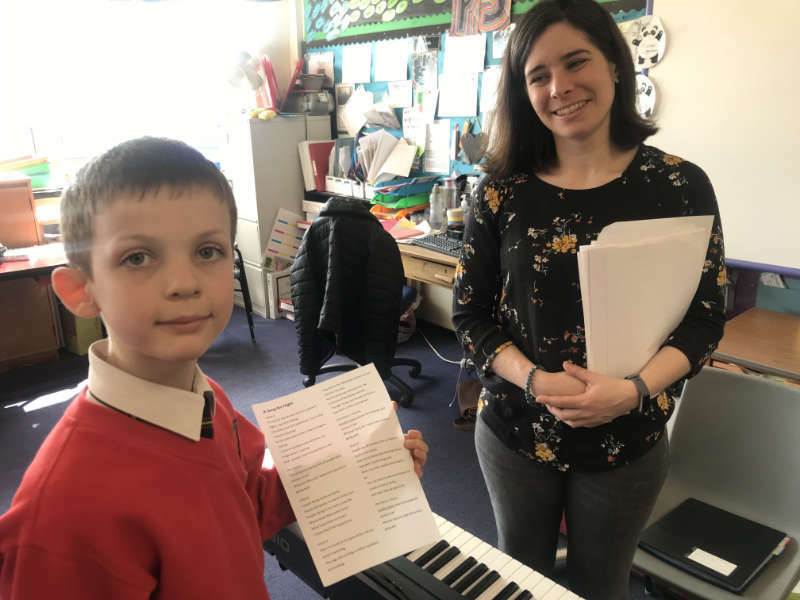 In March, the project continued in two local primary schools with composer and vocal animator Moira Morrison, and included the composition of a new song, inspired by workshops with the children and funded by the Glasgow Airport FlightPath Fund. Entitled A Song for Flight, this piece explores how travel and flight can broaden horizons and bring opportunities to communities. Discussing the composition of the new song, composer Moira Morrison said, “…the children gave their song depth, a poignant angle. Not only that seeing a plane flying overhead starts them wondering, questioning where they might end up and who they might become, but also asking about those people in the sky – are they flying or fleeing, and can we give them a better world here and now”. 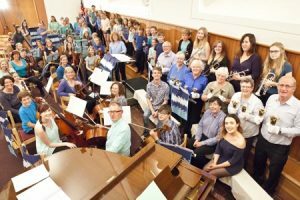 The young voices (along with children of the East Dunbartonshire Children’s Chorus) will be accompanied by the high school string players, performing side-by-side with the professional McOpera musicians (members of the Orchestra of Scottish Opera) in the final concert of Milngavie Music Club‘s International concert series. 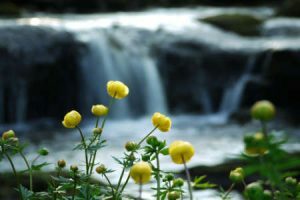 Programme to also include Britten’s Friday Afternoons songs with orchestrations by Peter Kemp, and string music by Bridge, Holst and Britten. Orchestrations (Britten songs) by Peter Kemp, with kind permission from Snape Maltings. 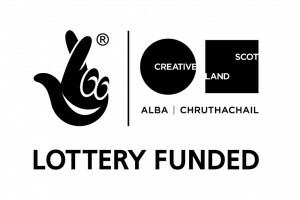 Supported by the Robertson Trust, the Glasgow Airport Fight Path Fund, Enterprise Music Scotland and East Dunbartonshire Arts Council. 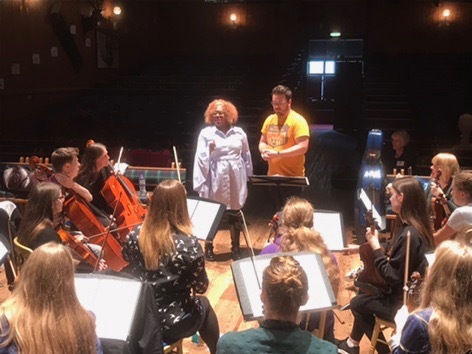 In an exciting development of last year’s outreach project at the Haddo Arts Festival, McOpera Outreach and conductor Andrew McTaggart returned to work with over 100 children drawn from 6 local primary schools, performing a selection of songs composed for Snape Maltings by the 2018 Friday Afternoons’ composer-in-residence, Errollyn Wallen. We were delighted to welcome Errollyn to Haddo for the final rehearsal and the performance. Building on our parallel string mentoring programme, our McOpera string players played alongside local young string players from Meldrum, Ellon and Inverurie Academies and their instrumental instructors, performing Peter Kemp’s new orchestrations of the Errollyn Wallen songs and Warlock’s Capriol Suite. The chorus also performed the ‘Song for Haddo’ written by Moira Morrison, whilst the strings accompanied baritone Andrew McTaggart in a selection of short arias. The concert given by Jess Gillam on Friday 8th December at Cairns Church in Milngavie marked the launch of the McOpera Outreach East Dunbartonshire Young Musicians 2018 programme, devised for Milngavie Music Club and continuing the work in the community begun last April with The Tales’ Project. 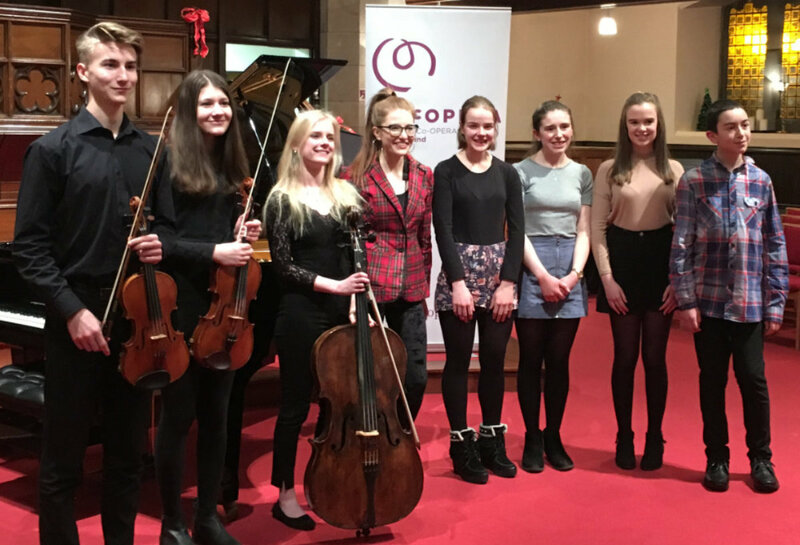 Prior to the concert, our successful young musicians met for a Q&A session with saxophonist Jess Gillam, the 2016 BBC Young Musicians of the Year finalist, whilst the String Quartet of the Music School of Douglas Academy performed a Dvorak String Quartet in the interval of the concert with the 3 finalists joined by fellow pupil, Anna Mackenzie. 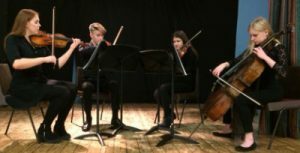 This unique work experience project will catapult 7 aspiring young musicians (chosen during a series of auditions and interviews) into the professional world to play and work alongside our experienced orchestral players from Music Co-OPERAtive Scotland (McOpera). As part of the project, the students will also attend Milngavie Music Club concerts, meet the soloists and showcase their schools. 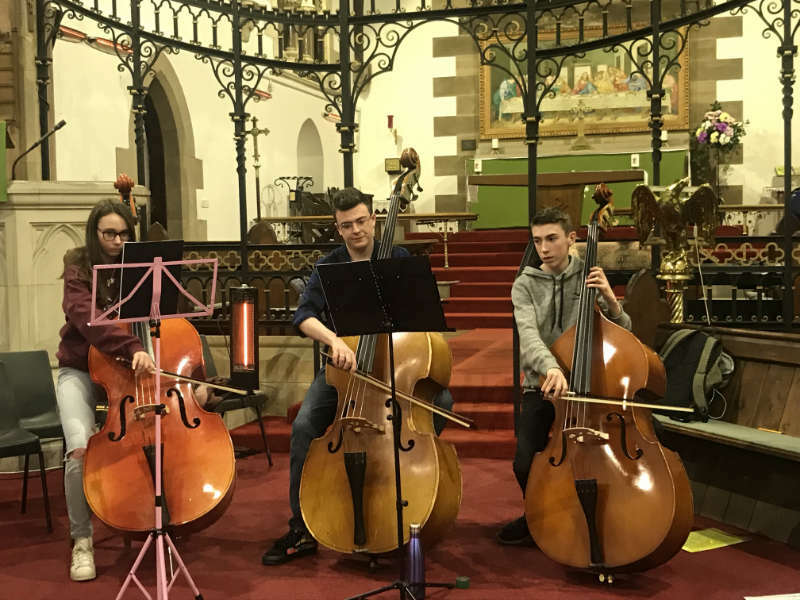 The project culminates on June 2nd, 2018 with a chamber music concert at Bearsden Cross Church, where the young people will perform as part of our fully professional ensemble. McOpera successfully received funding from Waitrose Music Matters and East Dunbartonshire Arts Council to commission an outreach project and concert on April 21st 2017 at Cairns Church in Milngavie as part of the Milngavie Music Club 75th anniversary celebrations and concert series. 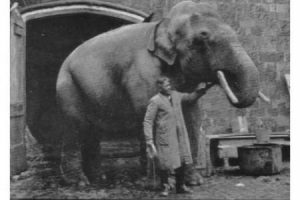 The project was based on ‘Cautionary Tales and Fables’, and at its heart was be a performance of Igor Stravinsky’s ‘The Soldier’s Tale’ in its full septet version, conducted by Sian Edwards, narrated by Flora Munro, with a projected film by Roddy Simpson and local storyboard artist Derek Gray. 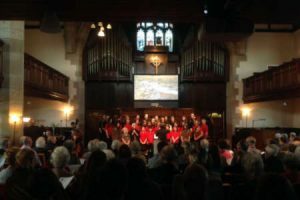 This was coupled with a commissioned piece by composer Peter Kemp for children’s chorus (East Dunbartonshire Children’s Chorus and Youth Choir) and instrumental ensemble. Drawing on the Visit Scotland 2017 theme of local history, heritage and archeology, the project explored local tales set to music (including the Bennie’s railplane, the madcap events of Charlie the elephant at Craigend Zoo, the folly of the Antonine Wall and Lunardi’s balloon flight). 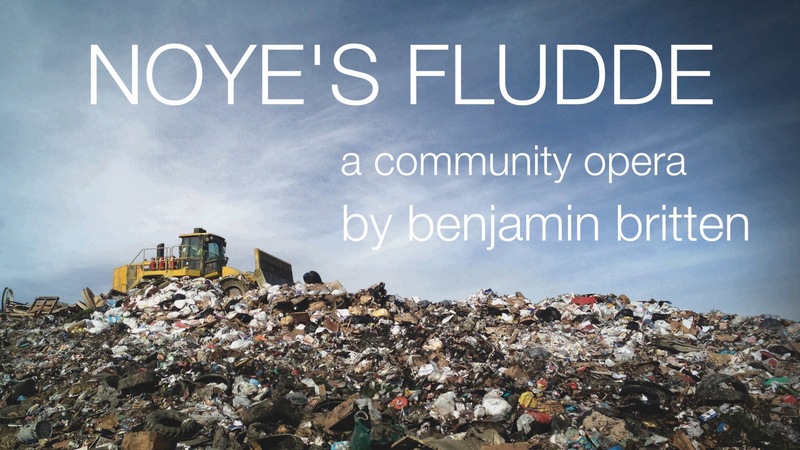 These were workshopped within the community in a variety of formats (with both adult and children’s community groups, using music, art, text and photography). 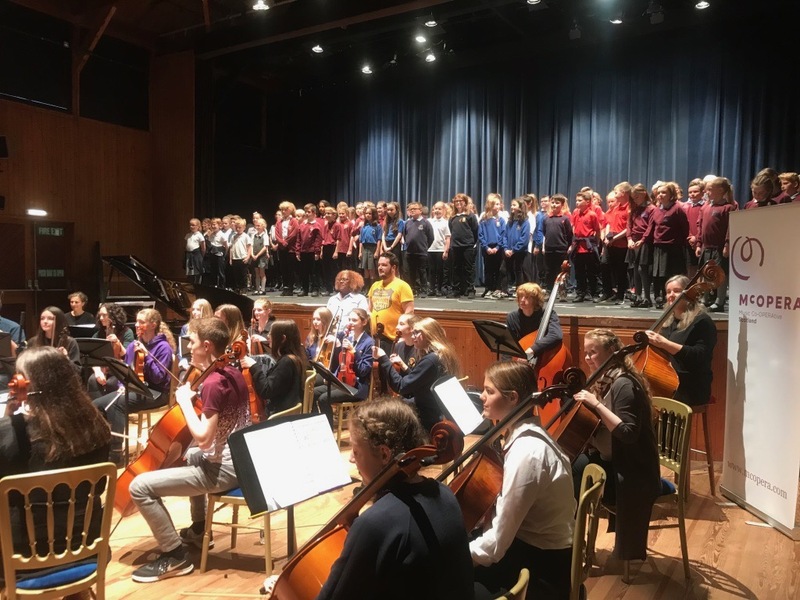 For the young people, having the opportunity to engage with musicians of this outstanding calibre is such a valuable experience- truly inspirational – both for pupils and teachers alike. 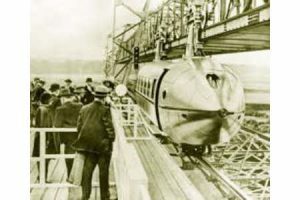 The Tales project was undoubtedly one of the most ambitious and memorable that Milngavie Music Club has undertaken in its 75-year history. 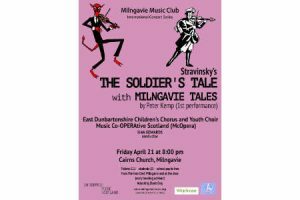 Combining a great 20th Century classic of music theatre (Stravinsky’s ‘The Soldier’s Tale’) with a witty and colourful new cycle of choral songs specially composed by Peter Kemp and rooted in our own community’s history added up to a truly extraordinary event. It just goes to show how little I know about Scotland and more specifically East Dunbartonshire and all the great things that have happened that prove just what we’re capable of in the future. I loved how well the music was written as the musical style went perfectly with the time we were singing about. It was a unique way of learning the area’s history and was a really fun way to show people what our choir can do. I think that the combination of the local historical links, the creative process, singing with professional players, the connection to Stravinsky, being part of a professional concert with an international conductor to sing an extended piece which was commissioned and written especially for them have made this a fantastically unique and unforgettable experience for all the young people involved. Based on the song cycle, Friday Afternoons by Benjamin Britten, A Song for Haddo was the exciting culmination of this year’s Haddo outreach programme. 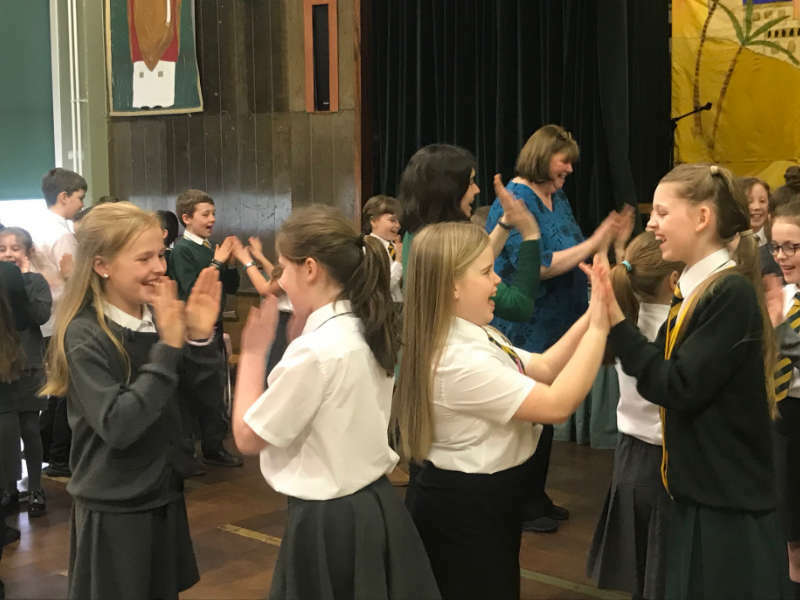 Moira Morrison, McOpera composer and vocal animateur, worked with over 120 primary school pupils and their teachers from Aberdeenshire using Kodaly-inspired vocal techniques. The schools involved were Pitfour, New Deer, Barthol Chapel, Daviot, Pitmedden and Tarves Primary Schools. 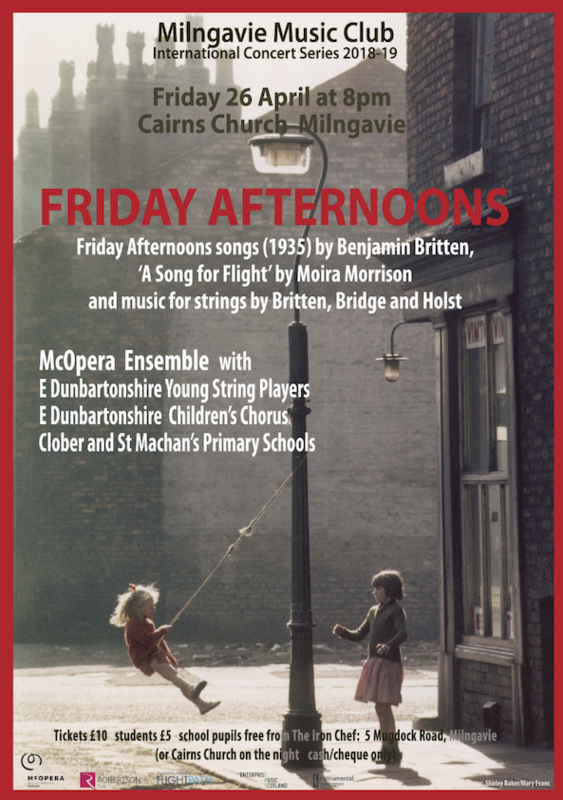 Six of Benjamin Britten’s Friday Afternoon songs were accompanied by a string ensemble formed of local high school string students from Meldrum Academy, Ellon Academy and Inverurie Academy, in an orchestration by Peter Kemp. 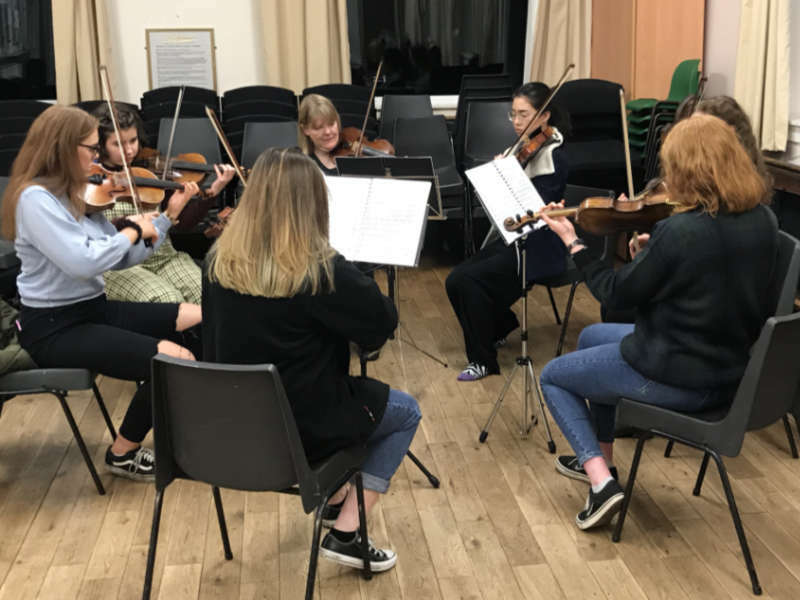 The young string players were mentored by 3 of our professional orchestral musicians, who played alongside the students, led by Katie Hull and assisted by local string specialists. As a key component of the project, a new song was commissioned as part of the Friday Afternoons project – ‘A Song for Haddo’. Composed by Moira Morrison with input and ideas from the children, this took inspiration from the local area and children’s experience of living in Aberdeenshire, and was performed with piano accompaniment played by Jeremy Coleman. 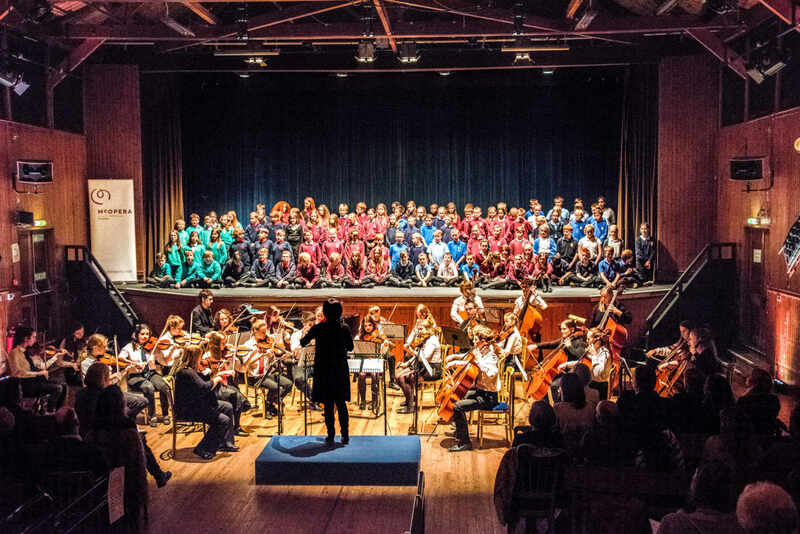 Friday Afternoons was conceived as part of the celebrations to mark the Centenary of the birth of the composer, Benjamin Britten, by Snape Maltings (formerly Aldeburgh Music) with the initial aim of encouraging children and young people to sing. Benjamin Britten: Old Abram Brown (from Friday Afternoons Op 7, 1935), in a new orchestration by Peter Kemp. 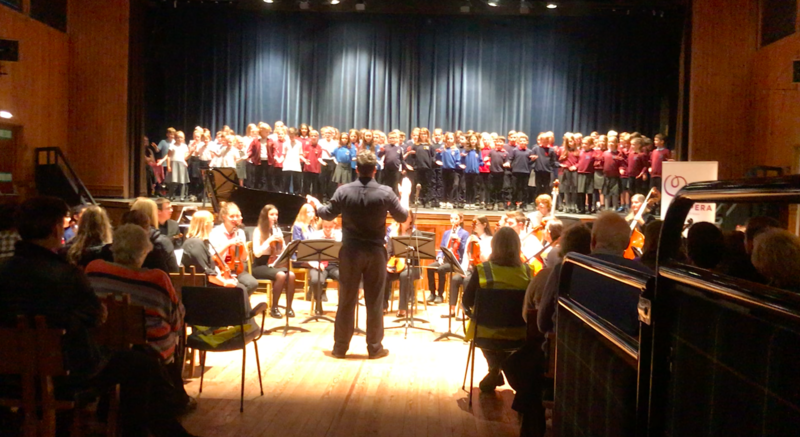 Performed at the Haddo Arts Festival 2017 by the pupils of Pitfour, New Deer, Barthol Chapel, Daviot, Pitmedden and Tarves Primary Schools, accompanied by students and instrumental music staff from Meldrum Academy, Ellon Academy and Inverurie Academy and musicians from Music Co-OPERAtive Scotland. Commissioned by Haddo Arts with Snape Maltings, for the ‘Friday Afternoons’ project. 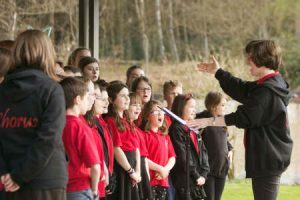 Performed at the Haddo Arts Festival 2017 by the pupils of Pitfour, New Deer, Barthol Chapel, Daviot, Pitmedden and Tarves Primary Schools, conducted by Moira Morrison and accompanied by Jeremy Coleman. I just wanted say how impressed I was with the Song For Haddo event. My son was one of the lucky children to take part. From when he began to practice his songs at home I knew it was going to be special. 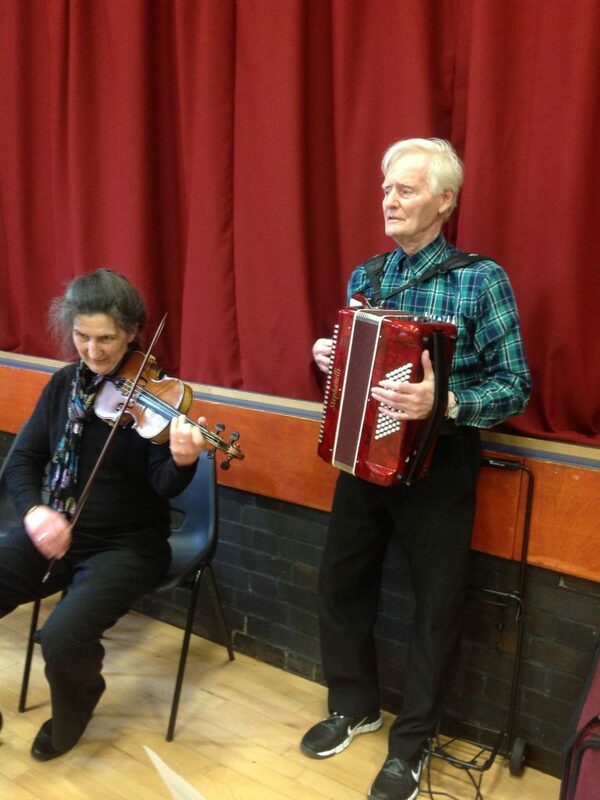 He …loved the singing sessions with Moira and really enjoyed being part of the creative process. 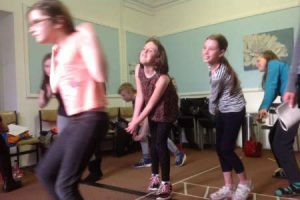 In partnership with Music Co-OPERAtive Scotland, Motherwell based charity Reeltime Music taught interactive music skills at two eight-weekly sessions between September and December 2016 to young parents aged 15 to 25 years old and their children under 5. 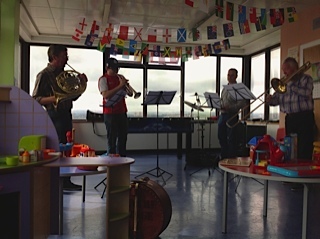 Five McOpera musicians worked with Early Years’ specialist Daniela Hathaway alongside Reeltime Music to provide informal music experience to young parents to boost their confidence and aid child development while encouraging bonding with their child. Families were given musical challenges to complete and try out popular instruments such as guitar, drums and keyboards as well as explore more unusual instruments including cajóns, ukuleles and mandolins. McOpera led families though music and play sessions designed to encourage bonding and communication while creating music and having fun together. Parents and children sang and rhymed, played with props and puppets and enjoyed percussion activities which were linked to everyday life. The rhythms also provided a calming and soothing effect for children, and parents were given resources to recreate the fun at home. 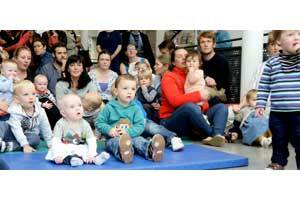 Laura Scott, project co-ordinator at Reeltime Music, said: “We identified that young parents lacked the confidence and self-esteem to attend community groups which could benefit them and their child. Our project acted as a stepping stone to encourage attendance in mainstream groups and promote understanding of the benefits of artistic time with their child. Conducted by internationally acclaimed conductor Sian Edwards, and featuring singers Andrew MacTaggart, Penelope Cousland and Donald Maxwell as the Voice of God; and with the children of Dunbar Primary School and the community of Dunbar and wider East Lothian in a cast of over 120 performers and crafts people. Directed by Caitlin Skinner and Assistant Director/ Chorus Master Moira Morrison, designed by Carys Hobbs and produced by Sue Baxendale. 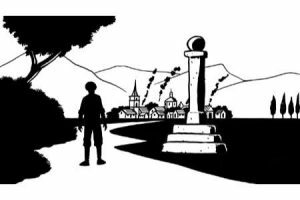 Accompanied by film sequence by Roddy Simpson.This fabulous community opera was performed on Sunday 11th September at 2:30pm and 5:00pm in Dunbar Parish Church to full houses and great critical acclaim. 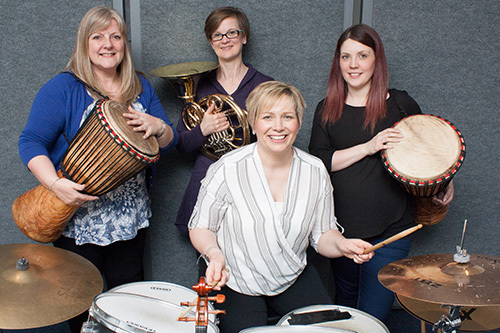 In August 2015, five instrumentalists from McOpera Outreach worked with writer and director Martin O’Connor, composer Oliver Searle, singer Daniela Hathaway, designer Rachel O’Neill and choreographer Janice Parker to develop Squirrel, a new interactive opera for the early years’, supported by the National Lottery through Creative Scotland. Based at Platform in Easterhouse, the team created an innovative concept in workshop performances for the 0-5 years and their parents and carers, culminating in a showing of work at Platform’s Play Cafe on the 2nd and 9th September, with further exploratory sessions taking in place in local nurseries. Taking as its inspiration the seasonal journey of the native red squirrel in its natural woodland environment, the research focused on exploring and facilitating the interaction and bonding of parent and child in creative activity using the musicians’ innate understanding of pulse and movement, timbre, expression and non-verbal communication. Further performances and touring are planned subject to attracting successful funding. 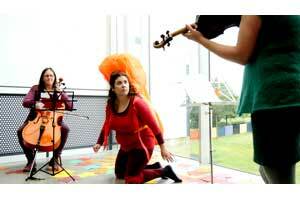 McOpera thank Creative Scotland for their support of Squirrel, our pilot project for the early years. 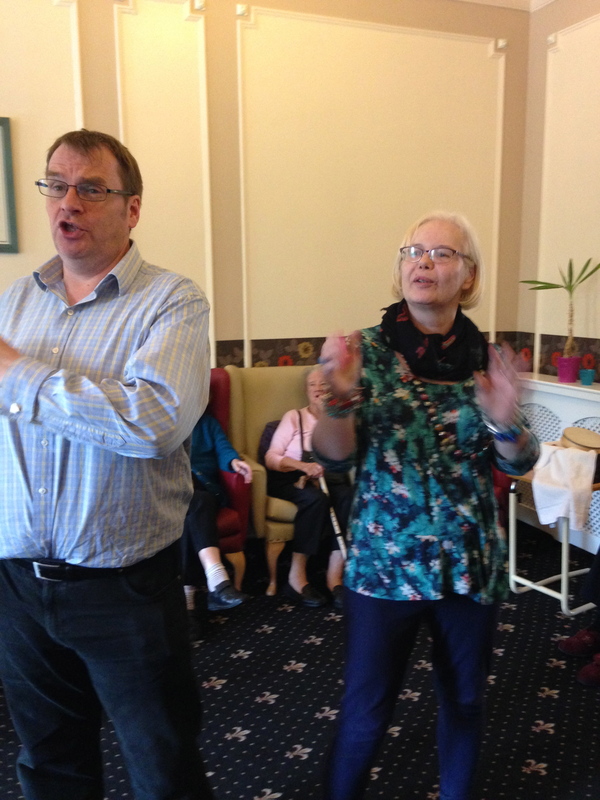 Working with residents at the David Cargill House, McOpera Outreach presented a package of one-to-one musical interaction in a ‘quiet room’ environment, supported in larger groups by a range of familiar musical songs and material, and led by our workshop leader, soprano Rachel Hynes. The songs for the group sessions were chosen by the residents, and arranged by the group of 3 musicians and 2 opera singers to perform with them during the visits. 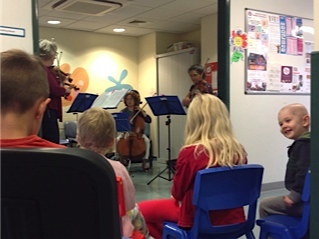 To cater for the variety of mobility needs, our McOpera musicians moved through the care home as ‘wandering minstrels’, taking specific requests for songs into each room. 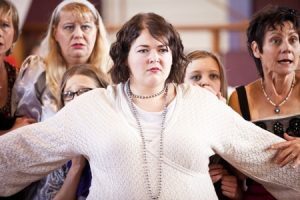 The power of working with operatic voices and live orchestral instruments in this context cannot be underestimated, and the connection this had with the residents was particularly powerful. 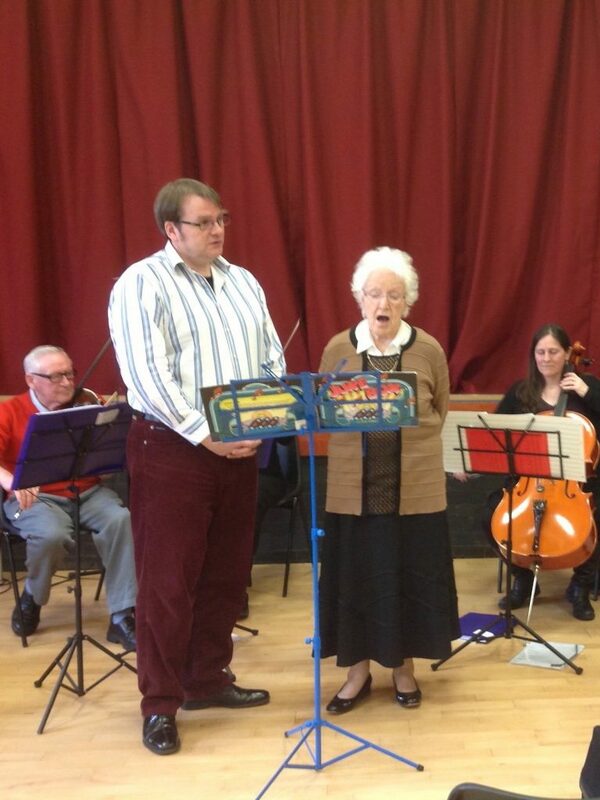 McOpera Outreach were out with Musical Minds, a 100 strong Alzheimer’s Choir based in Kilmarnock. Aline Gow, Alison Hastie, Sue Baxendale and our fabulous baritone, Steven Faughey, had the most amazing experience with the choir, some of whom joined us to perform solo spots- the lovely Irene singing Moon River, Ian playing beautifully on violin and our highly skilled accordion player, Miles. 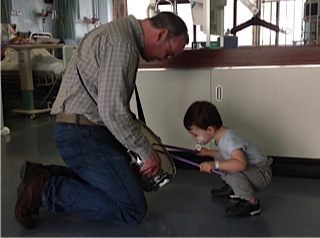 Hats off to those who run this truly inspirational project…. We will be back for more! 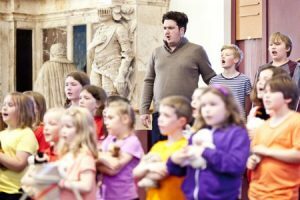 For Primary and Nursery groups, McOpera’s ‘Let’s Make an Opera’ project works with schools to devise and perform their very own bespoke opera, providing the perfect cross-curriculum project, involving writing text, creating artwork, composing and performing music. 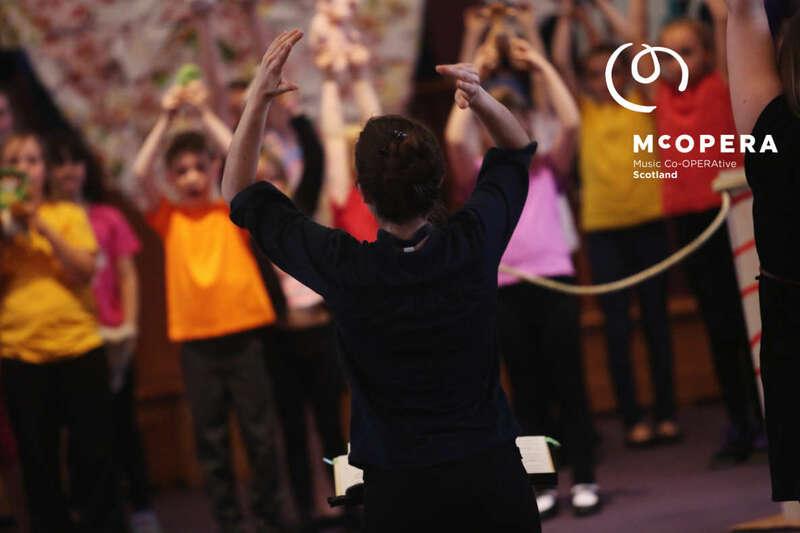 In the Secondary school sector, McOpera offers a choice of bespoke workshops and performances exploring the musical concepts outlined in the SQA music curriculum, using all the instruments of the orchestra and/or voice to bring these to life in your classroom. McOpera also provides composition workshops and performance masterclasses for S3-6. and/or voice to bring these to life in your classroom. and performance masterclasses for S3-6. 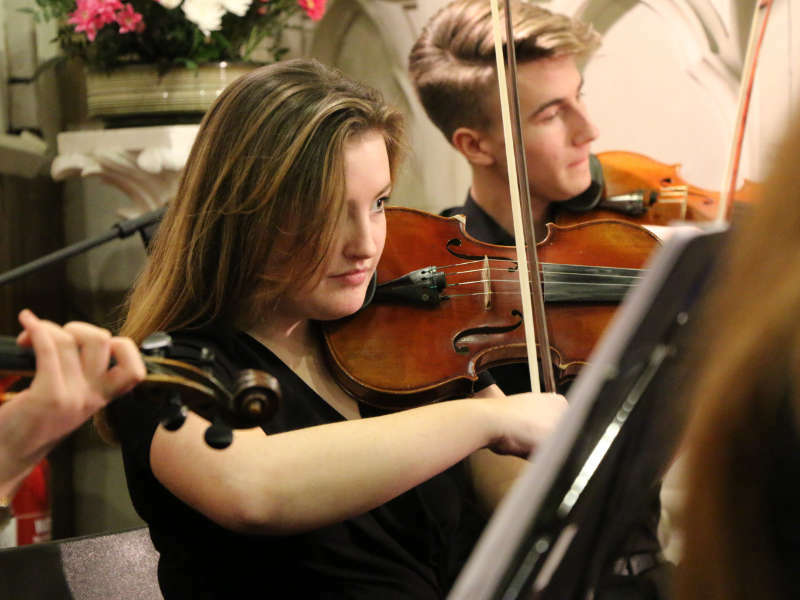 With its full complement of classically trained musicians and singers, McOpera provides a range of coaching and tutoring services for ensembles, orchestras and choirs. Our experienced McOpera musicians offer sessions for people with special needs, the elderly and dementia groups, and welcome the opportunity to build longer term projects with clients. Sue Baxendale has worked in performance for many years as Section Principal Horn with the Orchestra of Scottish Opera, and as both Producer and Education and Outreach Officer for Music Co-OPERAtive Scotland (McOpera) for which she has both devised and led numerous projects. Throughout her creative life, she has been a strong advocate for the unique power of opera to express and articulate our modern lives. Recent productions for McOpera have included the Scottish premiere of Fleishmann/ Shostakovich’s opera Rothschild’s Violin, and the world premiere of the original version of Erik Chisholm’s haunting Simoon with dance film, as part of the Cottier Chamber Project 2015. After attaining a degree in English Literature and Music from the University of Birmingham and a Postgraduate performance diploma from the Royal Northern College of Music, Sue was appointed as Section Principal Horn with the Orchestra of Scottish Opera in 1996. 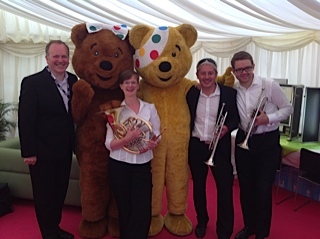 Alongside her opera commitments, Sue works extensively throughout the UK, playing both horn and Wagner Tuba, with ensembles including the Scottish Ensemble, BBC SSO and BBC Philharmonic Orchestra, Northern Sinfonia, RSNO, Opera North and Bournemouth Symphony Orchestra amongst many others. Peter has enjoyed a varied portfolio career as a performing musician, workshop leader and composer. After a decade playing as a member of the viola section of the Royal Scottish National Orchestra, Peter studied as an animateur and composer with Peter Weigold at the Guildhall School of Music. He attained an MMus in Composition with John Maxwell Geddes in 2006 at the Royal Scottish Academy of Music and Drama (RCS), winning the prestigious Dinah Wolfe Memorial Prize. 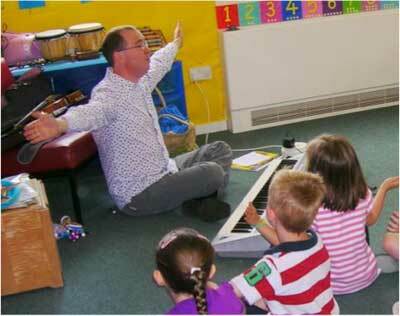 Peter has worked extensively in all branches of music education, including many years working with children from both the mainstream sector and special educational needs, including those on the autistic spectrum. He was lecturer in Community Music at the University of Strathclyde (on both the BA Applied Music and Community Arts degrees). 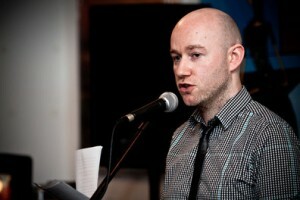 He now works across the creative industries as a performer, instrumental teacher, conductor, workshop leader and composer. 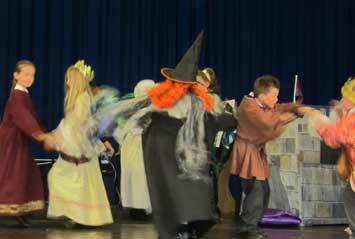 Peter has written 13 children’s operas , often incorporating dance, drama, storytelling and the visual arts. He was a finalist in the Cottier Chamber Project/ RSNO Composition Competition in 2015, and his music has been performed by members of the London Sinfonietta, on Radio 3 by the Hebrides Ensemble, and on CD with the Chinook Clarinet Quartet. 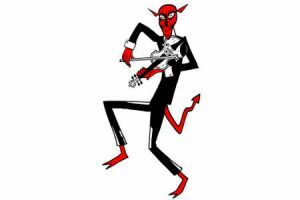 Peter’s latest work, Salsa Strings is premiered in March 2016 by the Glasgow Schools’ String Training Orchestra, which he also conducts. Daniela Hathaway is passionate about music, singing and teaching. She was born in Argentina and studied singing as a postgraduate at the Royal Academy of Music, London. Daniela has sung in opera and concerts in venues across the UK, France and Argentina. Currently she sings with Trio Vocalise, a trio for soprano, ‘cello and piano, and a tango duo for bandoneon and voice called Tango des a Dos. She has taken part in concerts for Live Music Now, and regularly sings for Music in Hospitals and Music Clubs in Scotland. Daniela is a qualified Kindergarten Colourstrings Course teacher and has attended training courses in Kodaly and Early Years Music. She has her own weekly Colourstrings Classes in Glasgow, on the Southside and in the West End. Previously, she worked for NYCOS, teaching Mini Music Makers classes, and for the City Halls, teaching music sessions in nurseries in and around Glasgow. Daniela recently taught for Scottish Opera Education Department in two capacities; the Spanish and music specialist in their ‘Sing Up Saturdays’ classes for children. Daniela also teaches her own weekly Spanish Music Classes for children and babies. This Summer Daniela will be teaching more Spanish Music Classes for children and babies at Scottish Opera, and taking part in the Early Years Music Festival at Eastwood Theatre, East Renfrewshire. 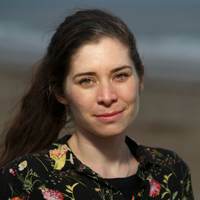 Moira studied music at Newcastle University where she majored in composition before going on to complete a masters degree in musical directing and conducting in 2010. Her final creation, a performance art piece for 16 musicians and 5 dancers entitled Strings, premiered at the Sage Gateshead. Whilst in Newcastle Moira musically directed Sondheim’s Sweeney Todd, Bernstein’s West Side Story and Kurt Weill’s Mahagonny Songspiel, delivered workshops for the charity Streetwise Opera and vocal coached the children’s choruses for Joseph, the King and I and Evita. Since returning to Scotland in 2013 Moira has been composing and directing original youth theatre pieces, writing for physical theatre and contemporary circus productions and working for the National Youth Choir of Scotland in various capacities; running songwriting projects, teaching musicianship and directing and delivering projects for McOpera Outreach as part of the Haddo Arts Festival and the Lammermuir Fesitval. Moira’s unique style of musical directing is fuelled by her fascination in the relationship between music and movement and the Kodaly method of music education. Moira is chorus master for Dunbar Voices, and has recently created Scotland’s first juggling choir – Circus Voices – which she directs and writes for.